This 7 Days Uganda Safari Tour that is exclusive of Gorilla Trekking will let you explore the wilderness of Uganda by travelling to various national parks & carrying out a couple of Uganda tourism activities. Youwill be picked up from an agreed location in Kampala or depart from our office and drive to Murchison falls national park. It will take you around 5 hours from Kampala with lunch en-route in Masindi town. You will enter through Kichumbanyobo gate. Paraa covers a distance of about 85km from Masindi town by the shortest route. 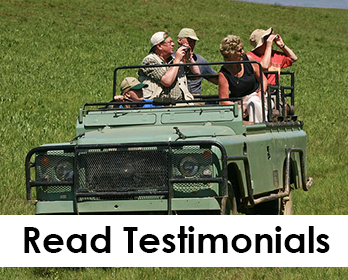 You will visit the top of the falls and then proceed to Fort Murchison Lodge. You will have breakfast and then drive to Kibale. En-route, you will visit the amabere ganyinamwiru stalagmites and waterfalls site in Fort Portal and the crater lakes. Have lunch and proceed to Kibale arriving late afternoon. Dinner and overnight stay at Chimpanzee forest guest house. Have breakfast and transfer to Lake Mburo national park with a stopover in Mbarara town for lunch arriving Lake Mburo in the afternoon. Dinner and overnight at Eagle’s Nest Lodge. Enjoy an early morning game drive; the park is home to herds of Impala, as well as the more uncommon Topi, Eland, and Klipspringer. Burchells Zebra and buffalo also graze the area together with the newly introduced Giraffes. Return to the lodge for late breakfast and lunch, then drive to Kampala and drop-off at your lodge or Entebbe airport for your onward flight.